The more you read and observe about this Politics thing you got to admit that each party is worse than the other. When you give a lesson in meanness to a critter or a person don't be surprised if they learn their lesson. The taxpayers are sending congressmen on expensive trips abroad. It might be worth it except they keep coming back. The more you read about politics, you got to admit that each party is worse than the other. I bet you if I had met him [Trotsky] and had a chat with him, I would have found him a very interesting and human fellow, for I never yet met a man that I didn't like. 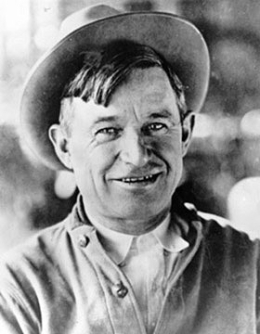 42 quotes by Will Rogers.